Hello all and happy 4th of July week! I'm so excited for the 3-day weekend. This is my second post featuring Language Los Angeles (my post from Monday is here). 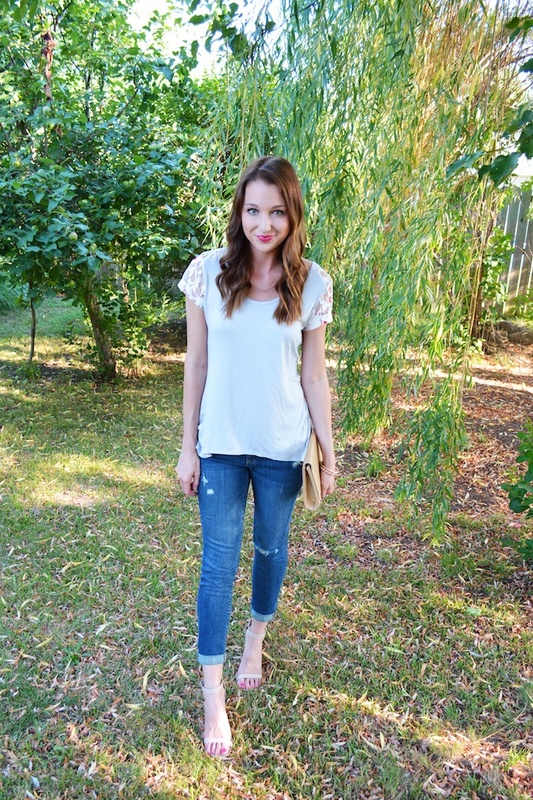 I love the unique lace and embroidery on this top, and the butterfly back adds a fun and feminine vibe! Their relaxed yet pretty boho pieces are too cute! I love this as a date night look, but will totally wear this top tucked into a pencil skirt for work as well. 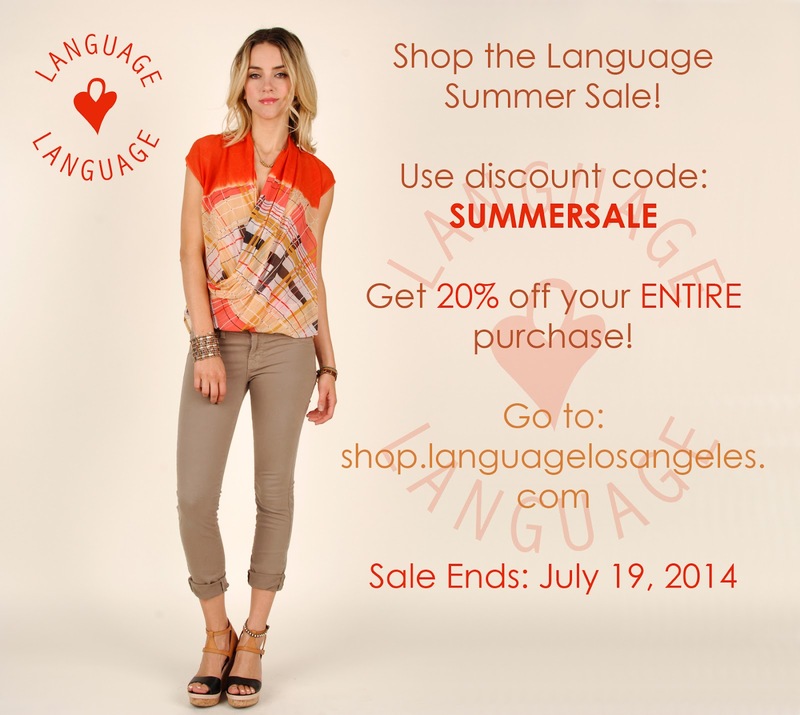 PS ~ Don't miss out on Language Los Angeles' great sale going on now! That is such an awesome top!!! so beautiful, love it! This top is so cute, love the wrap back. 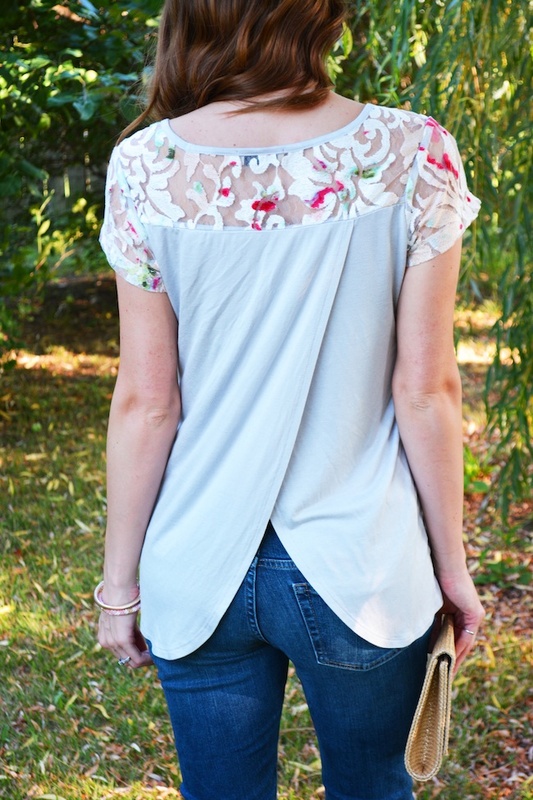 The back of your top IS SO CUTE! Love the whole look, you are stunning, as always!